Country comes to the city. Celebrations start for South West. 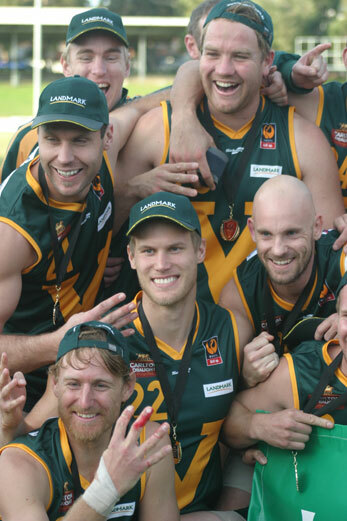 The South West Football League has won the Landmark Country Championships again. 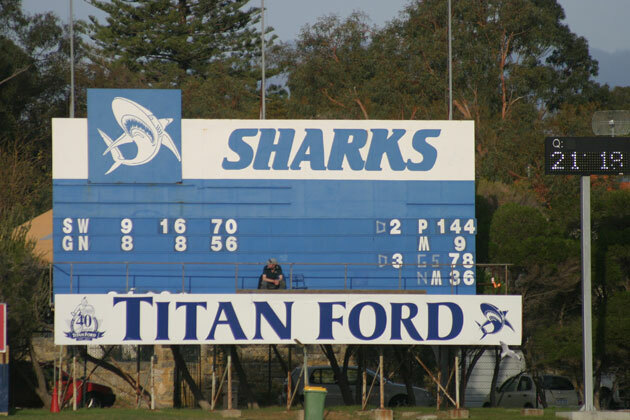 In the grand final at East Fremantle Oval on Saturday South West led Great Northern all day but survived a scare in the last quarter by their spirited opponents. The winners were stronger and steadier but were troubled by the speed of Great Northern who missed some chances in the last quarter to make it very close. Spirited action in the country GF. Photo by Les Everett. 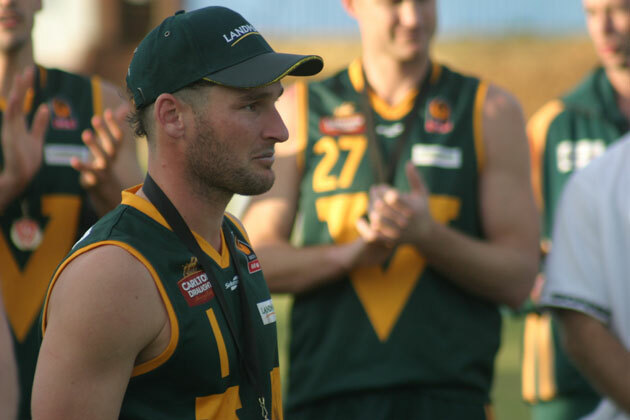 Jesse Gribble, named best on ground in the GF, and Daniel McGinley, fairest and best winner in the A-division, provided great run in the midfield for South West. 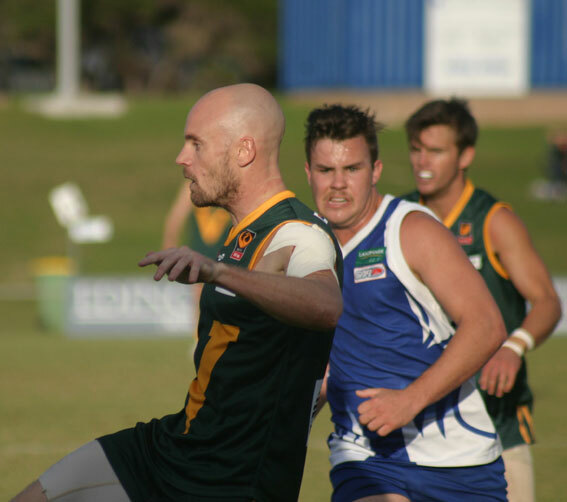 Former Subiaco captain Aidan Parker kicked three goals as did Marc Re. Speedsters Jordan Comeagain, Kristian Papertalk and Dale Wallam were Great Northern’s best players. Daniel McGinlay. The best player at the carnival. 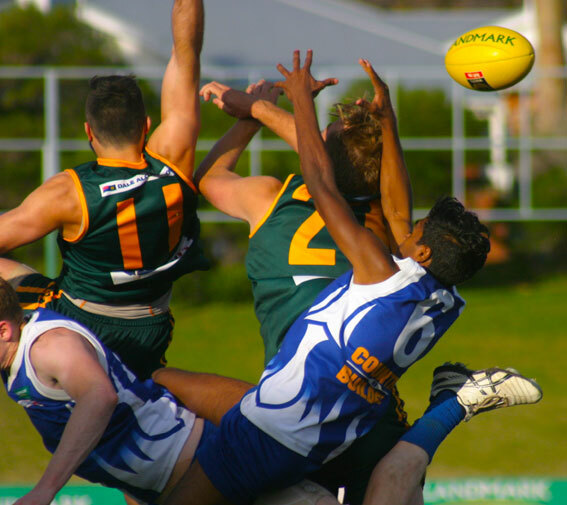 This entry was posted in Footy and tagged great Northern Football League, Landmark Country Football Championships, South West Football League. Bookmark the permalink. Good scoreboard! Does it say Titan Ford or Titian Ford? A Song. A Place. A Time.